With the aim of delivering qualitative products, we are engaged in offering our clients with an excellent quality Fibre Drum Production Line. The offered fibre drum production lines are used to pack bulk drugs, chemicals, dyes, pharmaceuticals, engineering, consumer goods and adhesives. In textile mills, the fibres are also transported through these drums. 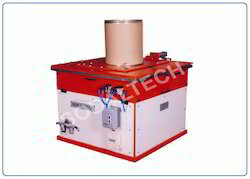 This fibre drum production line is provided in different technical specifications as per the different needs of the various clients. The offered fibre drum production line is manufactured as per the defined industry quality parameters with the use of the best quality raw material and sophisticated technology. With rich industry experience and support of highly skilled quality experts,machineries our organization is engaged in providing a wide range of Fibre Drum Ring Fixing Beading Machine that is used to fix the metal rings with the top & bottom of the drum and seemed to hold with machinery have high tensile strength, durability and long-lasting performance. 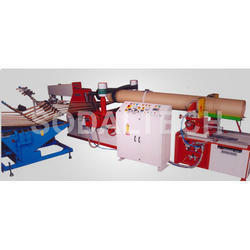 These beading types of machinery are manufactured with perfection for easy use by the valued clients. These beading machinery are robust in construction and also appreciated by our clients widely. This machine is simple to maintain and operate. 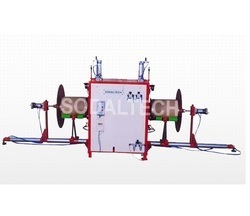 We are dealing with Fibre Drum Bottom Lid Fixing Machine and our product is made up of good quality. 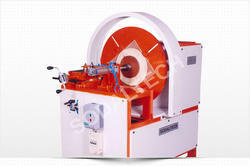 We are dealing with Disc Cutting Machine and our product is made up of good quality. Looking for Fibre Drum Making Machinery ?